For more than 20 years, Delaware’s Medicaid program has partnered with managed care organizations (MCOs) to organize networks of providers, determine provider reimbursement, and deliver a defined set of benefits to diverse populations and individuals. Medicaid leadership at DMMA uses the competitive contracting process with MCOs, combined with close and careful monitoring of the MCOs, to address the needs of individuals and special populations, such as people with disabilities. Using federal “waiver” authority, Delaware has been able to finance expanded services and populations in Medicaid over that same 20-year period, with the MCO partnerships fostering accountability for quality and costs. Dr. Brown recently described a dual strategy developed by the Division to promote quality of care and to control costs. New managed-care contracts reward MCOs for achieving specific quality performance targets and encourage them to engage in are value-based purchasing with providers. Benchmarks will be established for MCOs to achieve targeted levels of value-based purchasing with Delaware providers. 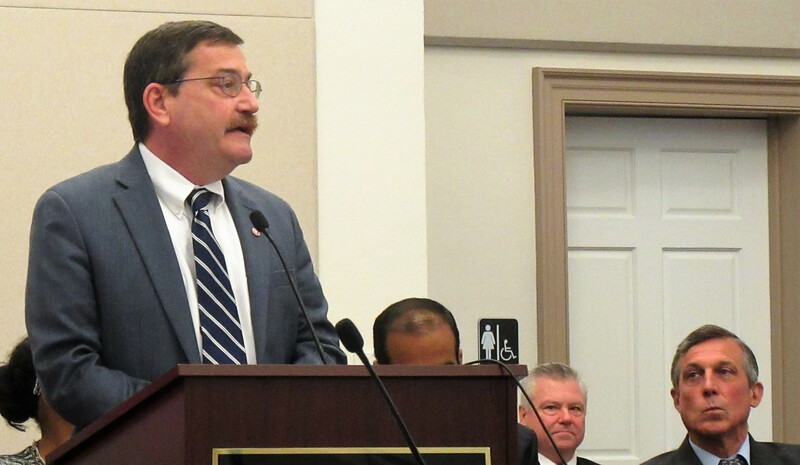 Delaware Medicaid Director Stephen Groff recently explained the shift in incentives for MCOs and providers to the General Assembly’s Joint Finance Committee: “Our system has incentivized them [providers] to practice in a way that is centered on volume. They get paid when they provide a service.” Value-based payment, by including quality and outcomes measures, and paying for better outcomes instead of volume, is intended to change incentives in the health delivery system. In the three years of the contract with the MCOs, seven key measures will be monitored, including management of diabetes cases, asthma management, cervical cancer screening, breast cancer screening, obesity management, timeliness of prenatal care and 30-day hospital readmission rates.